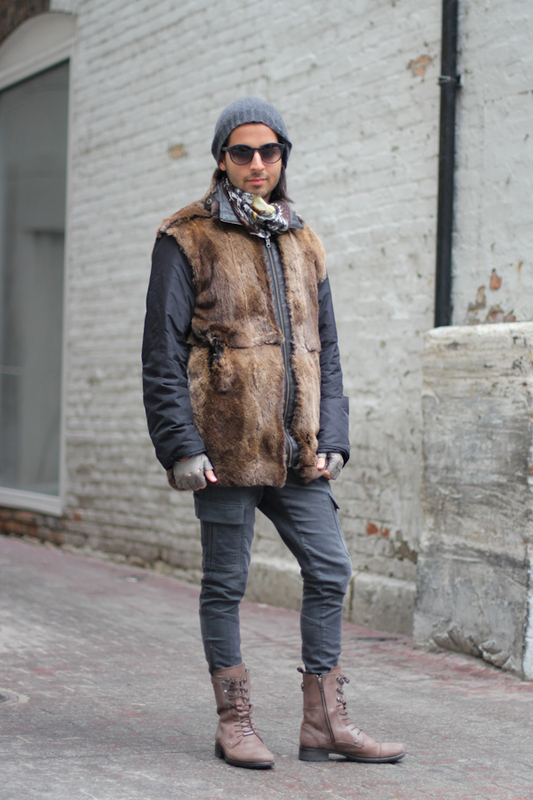 I spotted Kaveh walking down Rush Street with his friend a few days ago. 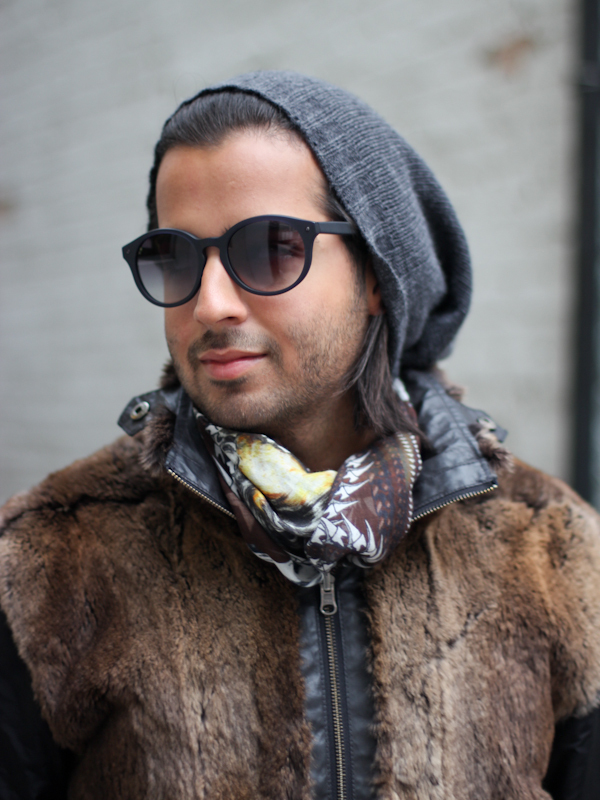 I love the louche look of a beanie combined with more luxurious elements like a Givenchy scarf and Bottega Veneta sunglasses. It’s a damn cool way to bring a high fashion look down to earth. Off-duty models are the most visible fans of this look in the fashion week universe. What better way to cover up messy hair while dashing from show to show? Even designer labels Tibi and T by Alexander Wang jumped on the trend, featuring beanies in their Fall 2011 collections. When I saw Viki chatting with her friend Mary outside of Eskell on Milwaukee Ave, I couldn’t resist another go at playing with solar flare. Her striking features were highlighted by the beige slouchy sweater, which allows the focus to remain on her ring-encrusted hands and gorgeous figure. What I love most about this picture is how the fuzzy open knit weave of her top allows the sunlight to slice the most perfect outline around her body. As my photography skills evolve I’m becoming more obsessed with using light in prominent ways throughout my images, from rim lighting to solar flare. *Thanks to my eagle-eyed friend, MidweStyle blogger Jeff Kieslich, Viki’s sweater has been identified as the Helmut Lang Scoop Neck Sweater.